Restrooms are one of the top major areas in an office that endures multiple spills and stains on a daily basis. Not only is it a room that is used quite often, it’s one that can be easily made a mess if not cared for and cleaned frequently. Professional office cleaners tackle tough stains with powerful commercial cleaning products. Trash removal, dusting, mopping, and floor care are other essential cleaning tasks that should be performed weekly. Sometimes, daily or even multiple times throughout a workday depending on the amount of traffic within a facility. Often times, rings are seen within a toilet bowl. This stain is typically located near the water line and underneath the inside rim of the bowl. Why do these toilet bowl rings appear? Toilet bowl rings are caused by hard water containing a high quantity of minerals. As soon as the water evaporates, white calcium, magnesium compounds, and rust colored iron compounds develop the toilet bowl stains. A newer, more polished bowl will be more resistant to hard ring stains. Worn out and aged toilet bowls are more likely to form stains and rings. A commercial cleaning professional can combat these toilet bowl rings with proper cleaning solutions and tools. There are several different cleaners that can be used: Non-acidic, high acidity cleaning solutions, powdered cleaners, liquid solutions, and more. Urine stains are another common eye sore lingering in an office restroom. Don’t forget to look around the toilet; urine is frequently found on the floor below and behind the toilet. Partitions, walls, and doors may sometimes acquire these stains, as well. Office cleaners typically wipe down and clean all these areas on a nightly basis to make sure all surfaces are free of urine stains within a restroom. A lack of cleaning can result in major odor issues. Make sure your janitorial staff is taking care of all restroom areas. Restroom spills and stains can be maintained with professional office cleaning care. Having a clean restroom is not only aesthetically pleasing to you, your employees, and customers, but it’s also a health factor. 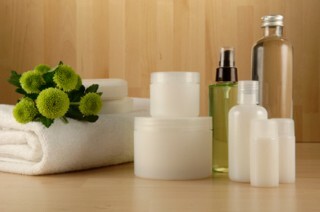 High quality cleaning can produce great smelling and looking bathrooms in a work facility. Hire Apple Corps’ office cleaning team to maintain your restrooms. Call today for a free commercial cleaning quote 781-335-6900.